Statues become mental landmarks of people, animals, fantastic beings from creative minds…and legends. Observing a statue can be a zen like or aesthetic experience. 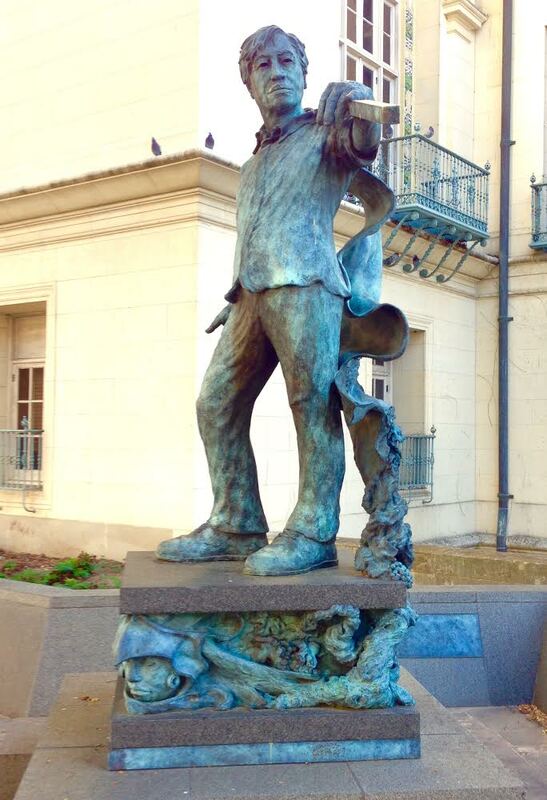 Or for those who love to do statue art, it’s a convivial fun fest of reactions and poses for statue photos. Sophie Ryder’s mythical creatures stand throughout the world. 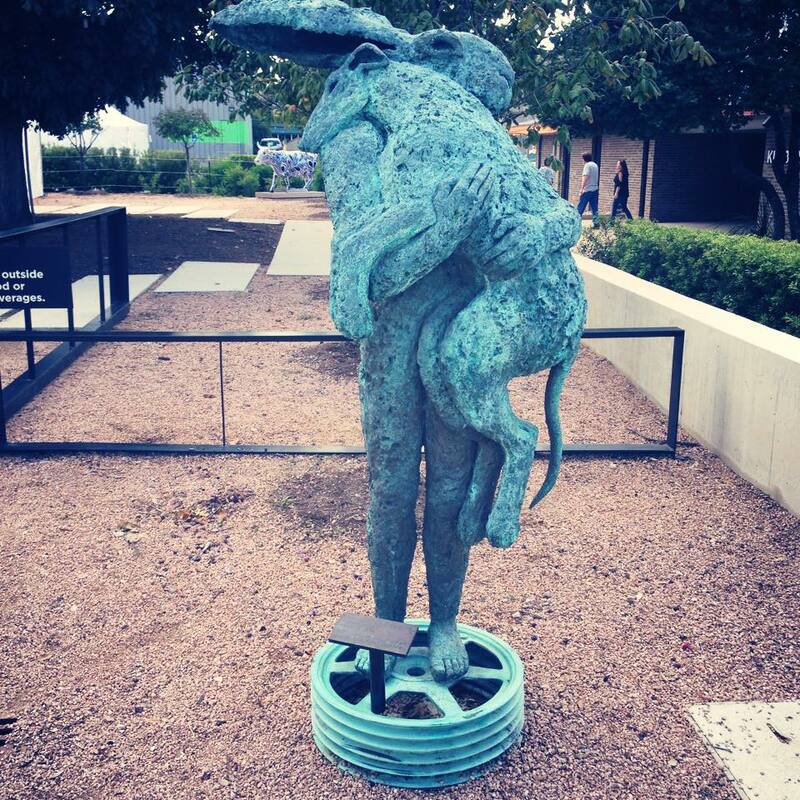 Lady Hare With Dog is near the Zach Theatre and it’s a classic Ryder work. The figure of the hare holding the dog is funny, poignant and compelling. The woman who saved Austin. 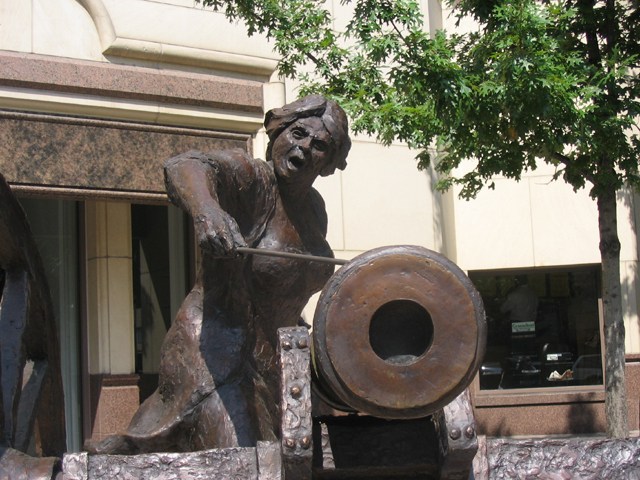 This bronze commemorates the woman who fired a cannon to stop the transfer of state archives by Republic of Texas President Sam Houston in 1842. 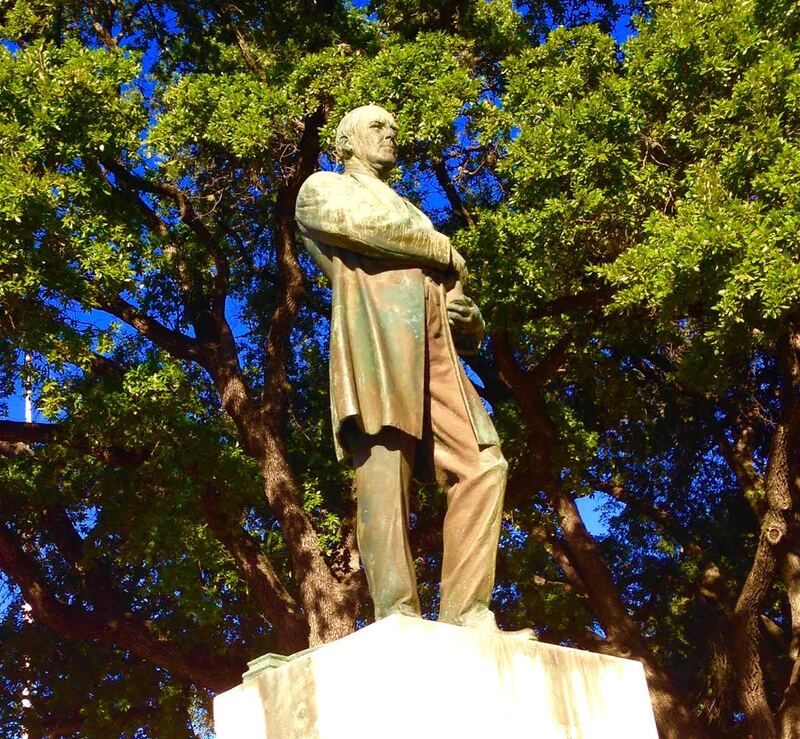 Most historians believe Eberly is the primary reason Austin remained the capital of Texas. 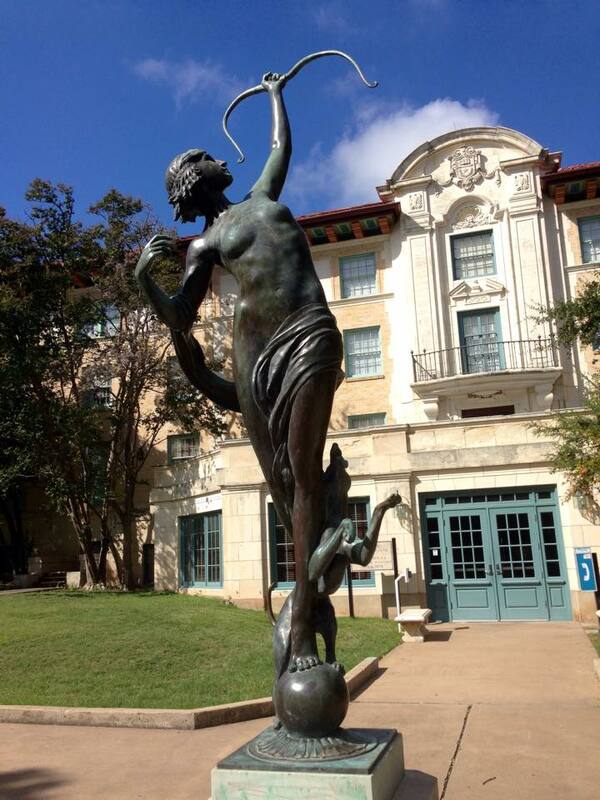 This 1927 statue, created by sculptor Anna Hyatt Huntington, stands in a quiet courtyard at The University of Texas. It is beautiful by day and comes alive at night. As the story goes, an 18 year old Bette Davis posed for this statue. You be the judge. 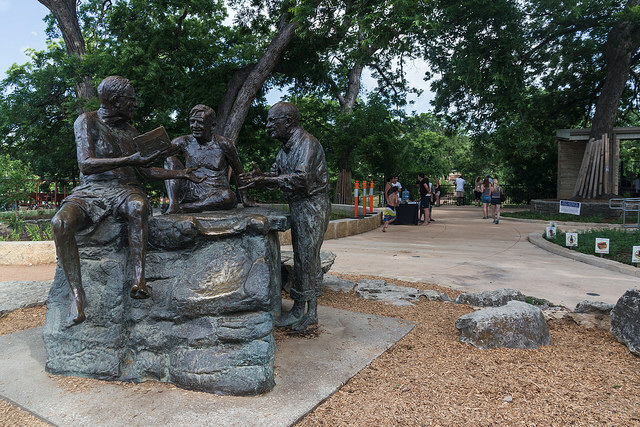 Santa Fe artist Glenna Goodacre created this statue to commemorate the meeting of writer J. Frank Dobie, historian Walter Prescott Webb and naturalist Roy Bedicheck at Barton Springs. Sit with them and hear their stories. 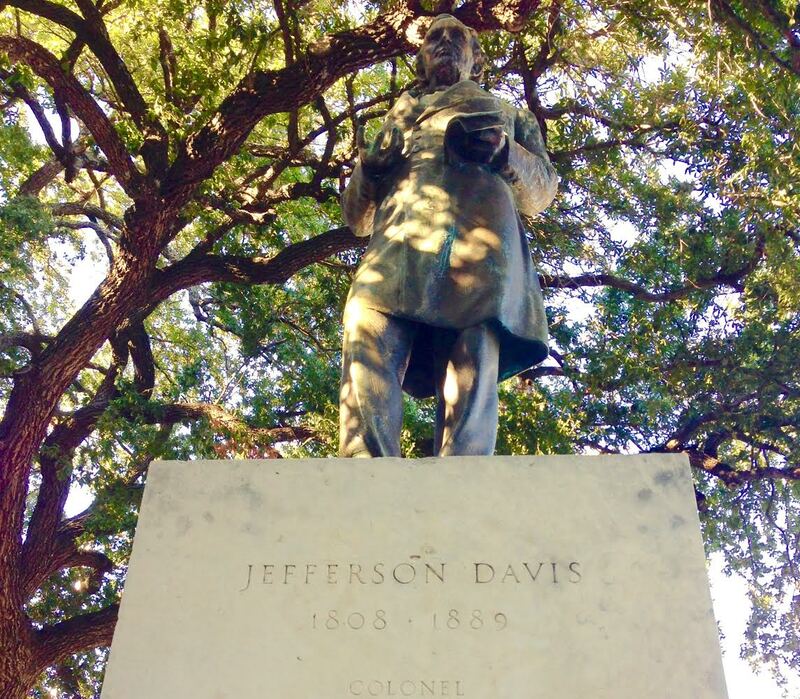 Jefferson Davis, Woodrow Wilson and George Washington make an odd grouping of politicians in the capital of Texas. One explanation is that these three are the “holy trinity of world politics.” Jefferson Davis represents the epitome of states’ rights, George Washington symbolizes a strong, national government or federalism, and Woodrow Wilson, who developed the forerunner of the United Nations, is the symbol of the planet’s nations creating a world government. 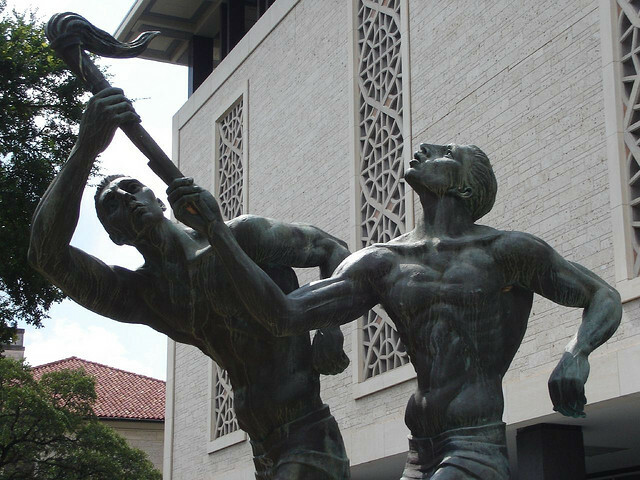 This stunning work is located by Flawn Academic Center at UT Austin. Created by Charles Umlauf in 1963, the figures are the embody the passing of knowledge from teacher to student. 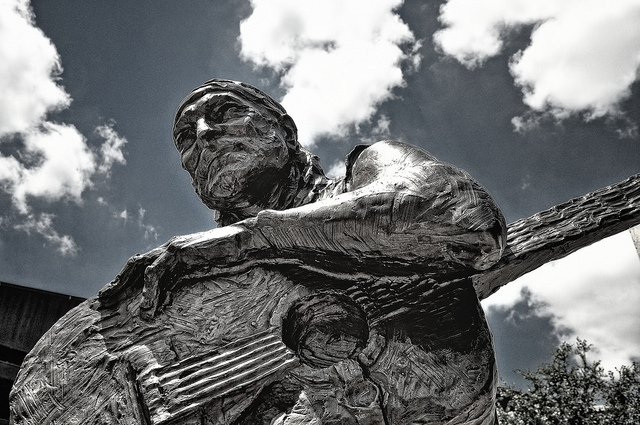 This figure of the musician who has a Stratocaster guitar named after him is at Auditorium Shores on Lady Bird Lake. Vaughan, who played a number of concerts there, is well remembered for his musical talent and influence on future Austin musicians. 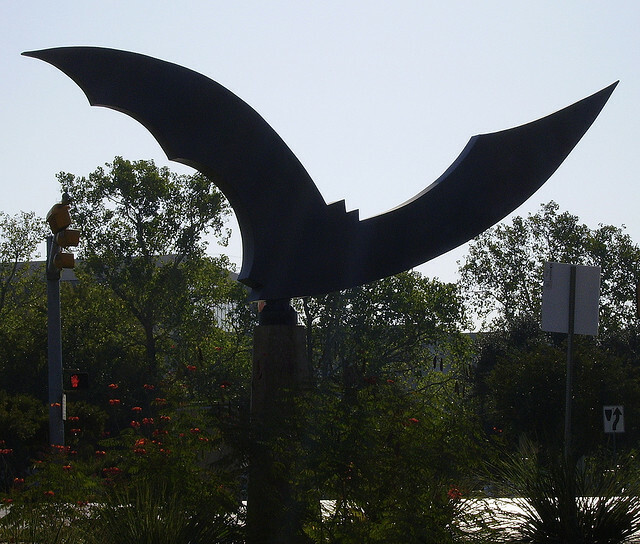 Known in common parlance as “The Bat,” this unique sculpture is mounted on a concrete base that slowly spins. When the 1.5 million+ Mexican free-tailed bats aren’t spilling from under the Congress Avenue Bridge, this piece is a nice substitute for viewing the world’s largest urban bat colony. 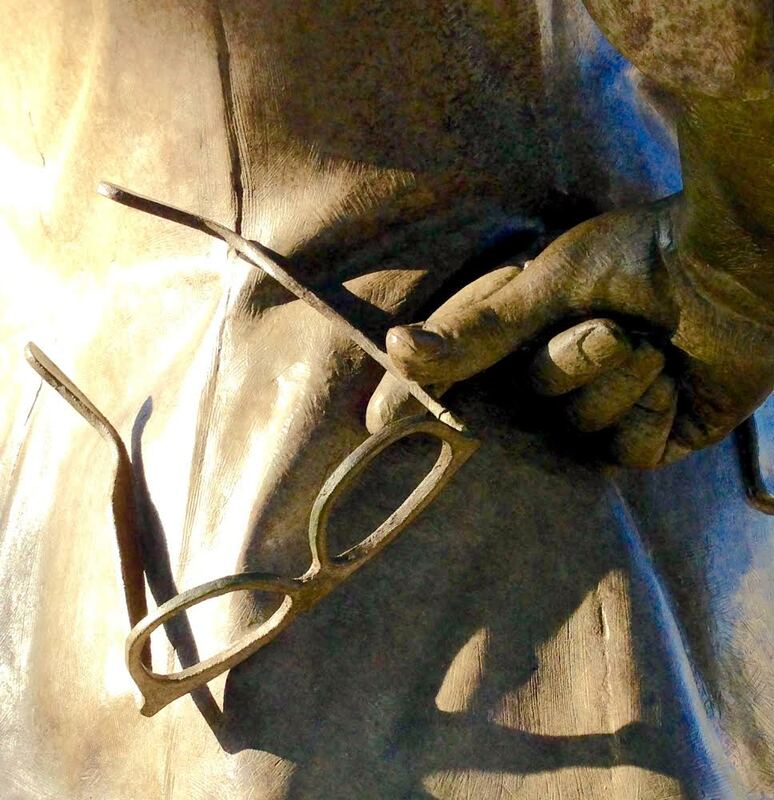 Artist Bruce Wolfe captured this civil rights activist’s personality, down to the way she held her spectacles. This is a must on your Austin public statue pilgrimage. 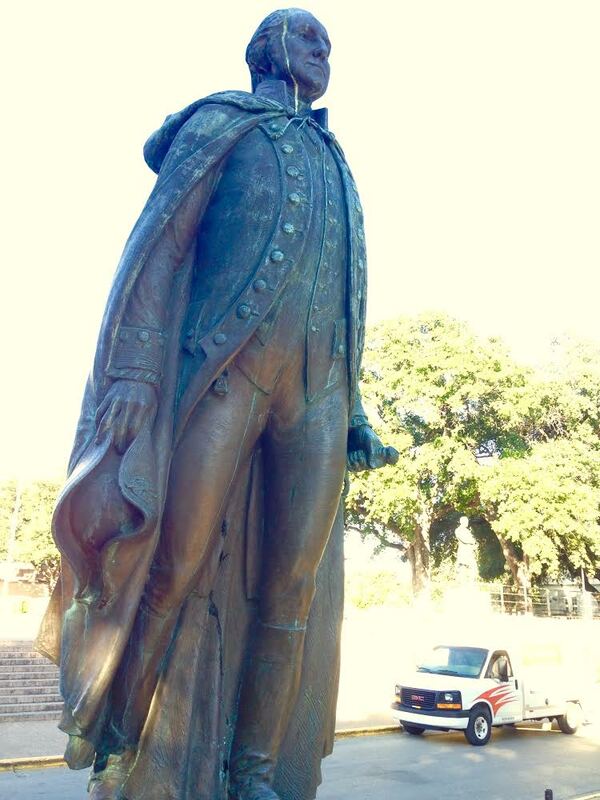 This is one of those statues that represents a legend who still walks Austin’s streets. Created by Clete Shields, Willie Nelson’s statue is at the corner of 2nd Street and Lavaca Avenue. This sculpture of the social activist by Pablo Eduardo is gripping. 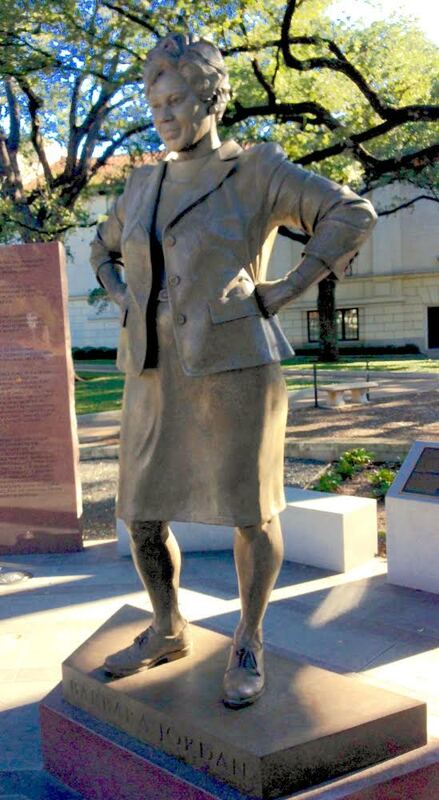 This statue, as well as the Barbara Jordan statue, was largely funded by Austin students. 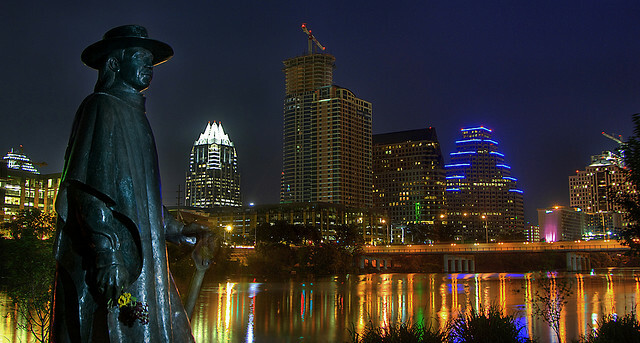 This list is by no means complete or the holy canon of Austin public statues. 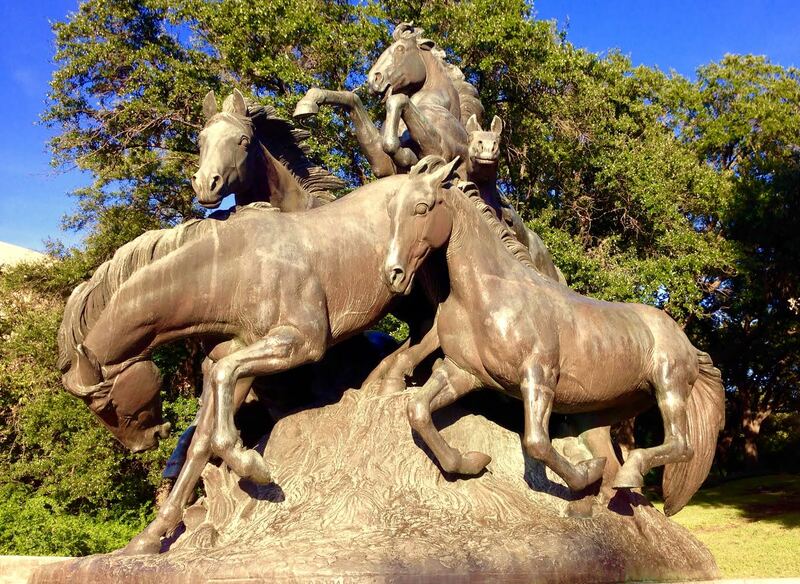 What are your favorite Austin statues? Feel free to comment!